Elspeth Quinn is a member of our busy Psychology Services Team. She arranges client bookings, responds to queries on the phone and by email, and supports the effective running of our busy psychology centres. She has considerable experience in customer services, sales, and marketing, previously working in two major health clubs and has also undertaken voluntary work as a befriender with the charity Health in Mind and as a Life and Wellbeing Coach with the charity Positive Realities. 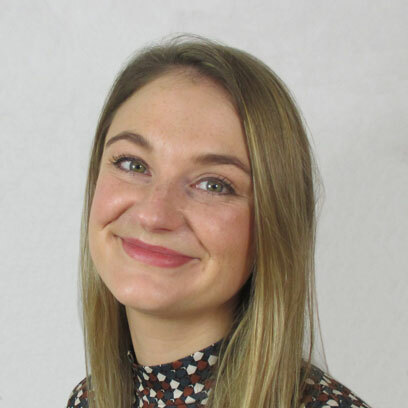 Elspeth has an MSc in Counselling and Psychotherapy and a PG Certificate in Listening Skills (COSCA) - both from the University of Edinburgh. She also has an MSc in Applied Psychology from Robert Gordon University. She has undertaken academic research into men's experiences of being listened to while suffering with depression. In addition, Elspeth has a BA (hons) in Journalism and has voluntary experience working with children's charity YFS as a sports reporter. She undertakes research and communications work with First Psychology as well as her role within the Psychology Services Team. Elspeth will be starting a DPsych Counselling Psychology course in September 2018 when she hopes to develop her skills and research in the field of counselling and psychology. Following this she hopes to practise as a Counselling Psychologist working with both publlic and private sector clients. Elspeth's interests include yoga, reading and creative writing.